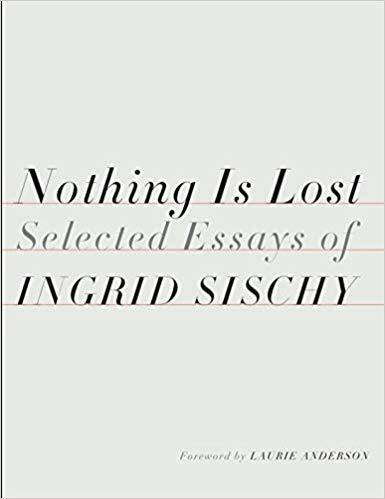 For more than three decades, Ingrid Sischy’s profiles and critical essays have been admired for their keen observation and playful style. Many of the pieces that appeared in The New York Times Magazine, The New Yorker, and Vanity Fair from the 1980s to 2015 are gathered here for the first time, including her masterful profiles of Nicole Kidman, Kristen Stewart, Miuccia Prada, Calvin Klein, Jeff Koons, Jean Pigozzi, Alice Neel, and Francesco Clemente, among others, as well as her exclusive interview with John Galliano after his career nose-dived in 2011. Whether writing about a young Alexander McQueen, the photography of Robert Mapplethorpe, Sebastião Salgado, Cindy Sherman, or Bob Richardson, or the Japanese musical theater group Takarazuka Revue, Sischy’s close attention to the unexpectedly telling detail results in vividly crafted, incisive portraits of individuals and their works. Here is a unique collection that gives readers unprecedented access to a dazzling range of artists from one of the greatest cultural critics of a generation.